Every member of the NSL Team spends their seven-week summer living with a host family who function as the backbone of the program — a window into the American family experience. 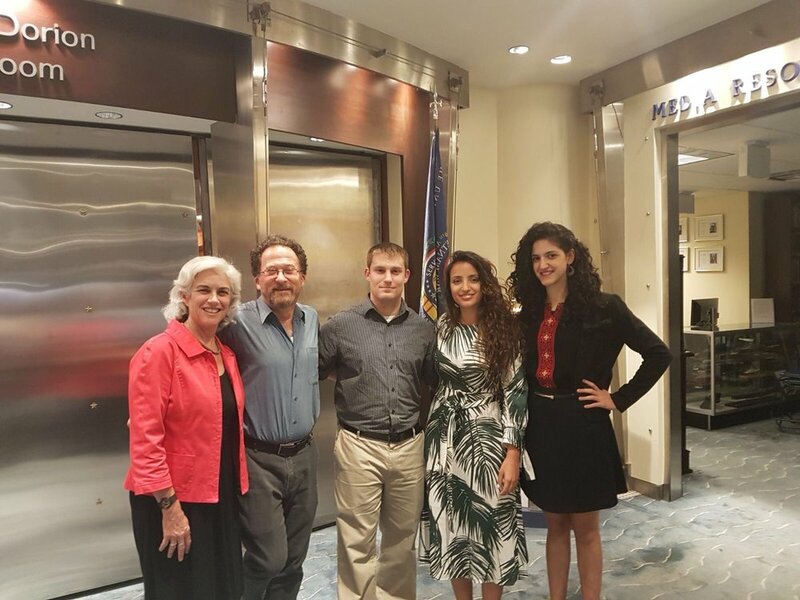 Paired together, Israeli and Palestinian Delegates are offered a unique window into an American family experience which they share together and forge new bonds not possible at back home. It costs $6,000 per summer for each delegate. This includes airfare, visa costs, healthcare, and a transportation stipend. Please consider sponsoring all or part of a delegate next summer. This year we intend to amplify NSL voices in the United States! Alumni currently residing in the DC area and elsewhere in the US have agreed to be available to tell their stories at speaking engagements year-round. Contact if you are interested in having NSL Delegates and Alumni speak at your event. Learn about our new initiatives and upcoming events.